Well I've been reading up on this and it should be a good project to try, only problem is it will be impossible/difficult to have sound on it. 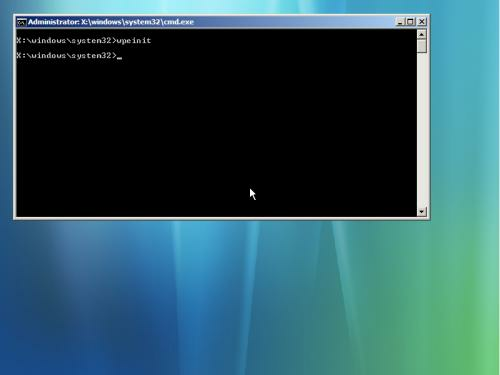 Major Update Shell now working and winfile works amazing! I might attempt this soon, but I was hoping to even know if this is possible and what I'm getting into before I start. Can you install WinPE to a HDD? What sort of drivers does WinPE use, the same as XP? But yeah, does anyone know how they did the thing with the .NET Framework in Longhorn 4053? Last edited by nookupeous on Tue Jun 30, 2009 10:33 pm, edited 5 times in total. To be honest, you'd be as well looking at using nLite with Windows XP to make your own cutdown version. It's not a hard process and you can tune it to use as little resources as you personally need while also maintaining the features and compatibility that you need. Remove the drivers, tweak the services, whatever you want. The version of XP I'm using on my netbook right now is done like this, and it runs far better than any default XP install ever would. WinPE is nice for what it is, but if you want to be able to add enough to use it as an OS, you're probably not going to find any gains over the DIY approach. Why bother? Simple. Fundamentals is *severely* limited compared to a normal copy of XP, in a few ways that matter. Also, among other things, the WinFLP setup requires a *full disk format*, where a custom version will install wherever you want. Those limitations can be removed... just re-image using a Vista SDK and integrate the .WIM into a Vista install, and screw up the logos, and...presto! You can remove the open application limit from FLP? Do tell me how! Wow, you should try it and report back with the results. Uhm. Guys. There is no open-app limit in FLP. You're thinking of Starter Edition. I can probably help on this project. Thanks for the help guys, someone needs to do some reasearch on what else we should integrate, I think I figured out how to get DirectX integrated...at least 90% of it anyway. I'll elaborate later. Also, does anyone know if the PE for 7/Vista has the same resource limit as XP's PE, there was a way to Patch the limit on XP's PE I wonder if it'll work on 7's if it still has it. So, do you think we should stick with WinPE or move this over to FLP? Some of this is for old XP winPE but the guy on msfn said it's pretty much the same. Dang, I lost the link for OpenGL support....I'll find it later. Also, after adding in explorer a person on msfn said .NET Framework may be easier. We just need to figure out how 4053 does it. Also, I may be gone these next 2-3 days fishing, so if I'm not online that's why. The project on http://vistape.net/ may do some of the work for us but we want to use real explorer instead of their shell. Maybe use explorer from Windows 7? I may have found a guide. I may have time to work on this but not to post, we'll see when I get back, also, as you can tell, I've been using this post as a kind of notepad for all the pages I find. I think this would be good, mainly if you can keep it small with a quick installation time. ADD: Why are you using a Windows 7 WinPE? I can code AutoIt so if we need scripts I can come up with them. Thanks, I think keeping it small will be relatively easy, I kind of the same thing I was thinking of now with 6519's PE and I believe it was only 250/300MB. I was thinking of using a 7 PE as it's the "latest and greatest" version, although we could move this to longhorn PE as it has the .NET Framework or even XP's as it's easier to work with. Thanks, AutoIt is very useful for unattended things like this. There are always times I wish I knew how to do it. Yeah, explorer would use up more space and resources, good idea. 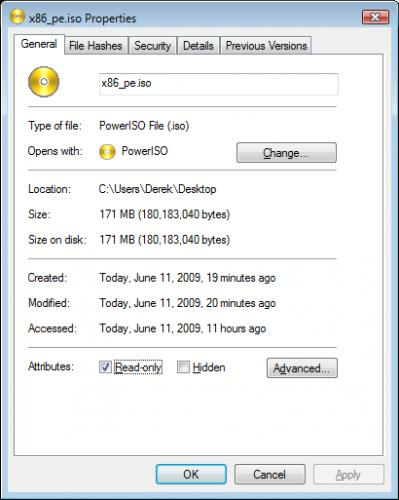 Another shell we could use is ReactOS Explorer, you can download it seperately from the OS and it looks a lot like 2K's GUI. Here's a pic of it. Fun Fact: I was experimenting with Longhorn 4074's PE last night and I found out it has NO mouse support at all. Wonder why they did that. Another thing I was thinking of, make some kind of really really tiny DOS based installer that would copy this to the HDD, it can be done, but I used a 2nd partition and did it from within Vista. All this talk of WinPE makes me want to dig up my WAIK disk. Did you overcome the 24 hour running limit on WinPE? (or less on XP RTM/(maybe SP1 also)). And that reactos menu looks horrible, you should make an option in the installation disk to install a few different explorer's. There's a winlogon patch for PE floating around that removes the timebomb/resource limit, but I can't seem to find it. I don't even know if 7's PE has the timebomb and such though. But if I can't find the winlogon patch some guy on MSFN.org made a custom loader that removes it (modifies it in memory I think) as PE starts up. And as far as the installation of multiple explorers goes, yeah, that's easily do-able. Make some kind of menu thing that would load an Auto-It script written by DBlake that would install the shell of your choice. Also, I'll be leaving for that trip later today. Hopefully, I'll have 7227's PE extracted by then, it's installing right now. Well, I got Windows PE extracted from Windows 7 Build 7227 in a little under an hour. And 58 minutes of that time was to install Windows 7, if 7229 leaks today I'll extract that since it takes very little time to do. I took a screenshot for you, that's just the unmodified WinPE 7227 with the command prompt open, I tried various thing to get it to output it's build number but it won't I guess I could take a screenshot of the properties of cmd.exe extracted from the WIM, but that's not as cool. Also, later today I'll see if I can get the logon screen and winver.exe to work, that one guy's youtube page has tutorials. Here's a screenshot of the properties of the ISO that boots into PE, so far it's nice 'n small, so we have plenty of room to add in whatever we like.